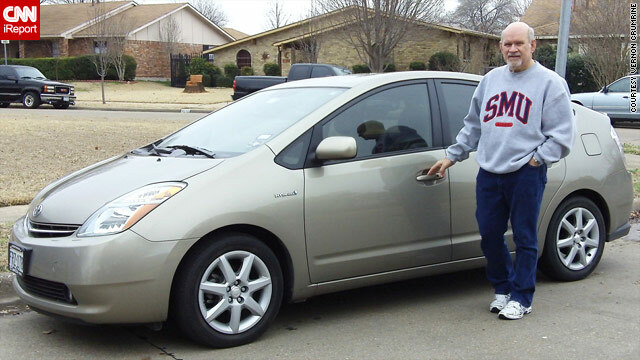 iReporter Vernon Crumrine loves the reliability of the Toyota Prius. He removed the floor mat and hasn't had any issues. (CNN) -- Toyota's reputation for making trusty, reliable cars has come into question after the company recalled millions of cars because of sticking gas pedals last week. Transportation Secretary Ray LaHood told lawmakers Wednesday that drivers of cars affected by the recall should "stop driving" them and take them to the dealer for repair. He later clarified his statement, saying that owners should take their cars to get them fixed as soon as possible. But the comment had already been reported by many media outlets, frightening many owners. Toyota users are chiming in with varying opinions. Some are worried about the potential dangers, while fans of the Japanese automaker have vowed to remain loyal. iReporter Annice Elrod of Chatsworth, Georgia, says her family has owned about 30 Toyotas over the past 30 years. The news from the transportation secretary did not shake her faith in the company, she said Wednesday. "We'll drive Toyotas no matter what," insisted the single mother of four. All of her children drive Toyotas, and she wouldn't have it any other way. Elrod loves her red Yaris, which she says she decided on in five minutes at the dealership. A Solara, two Camrys and a couple Tundra pickups round out the family. Her daughter has a 2009 Camry and says she had problems with the floor mat pushing the accelerator, but they went away once she removed the mat. "The recall doesn't panic me," Elrod said. "If one of my children were injured, I would be concerned because my grandchildren are in those vehicles. But I feel that Toyota will stand by its product." Toyota has recalled at least 8.1 million vehicles since November for problems relating to gas pedals getting stuck on floor mats, the carmaker confirmed on Thursday. The company stopped the sale of eight models involved in the latest recall. The 2010 model of the Prius was also recalled last week. Toyota's U.S. sales plunged 16 percent in January because of the recalls, even as sales of other automakers rose. In a statement Wednesday, Toyota said: "We want to make sure our customers understand that this situation is rare and generally does not occur suddenly. ... Our message to Toyota owners is this -- if you experience any issues with your accelerator pedal, please contact your dealer without delay. If you are not experiencing any issues with your pedal, we are confident that your vehicle is safe to drive." While many iReporters were supportive of their trusty Toyotas, there are other owners who are equally concerned. iReporter Barbara Walton said she and her husband were terrified in October when their Toyota Prius unexpectedly accelerated while in cruise control. They were able to ease the car off the road safely but only after stomping on the brakes so hard that they caught fire, she said. The Boiling Springs, North Carolina, couple's 2008 Prius is part of Toyota's earlier recall for risk of "floor mat entrapment" of the accelerator pedal. "We were lucky we got the car off the road and stopped. But if it happens again, we may not be so fortunate," Walton said. Are we driving a "death trap"? Before the incident, Walton says, she and her husband used to brag about their Prius all the time. They still love the car, but Walton has some concerns. "I'm much more conscious," she said. "I try to stay in the right lane if I have to get off the road. ... In the back of my mind, if that happens again, I'm thinking of what I will do." iReporter Jay Maynard, known for his electroluminescent Tron Guy costume and numerous appearances on the talk show "Jimmy Kimmel Live," owns a 2007 Lexus RX350. Lexus is the luxury division of Toyota. It's his third Toyota product, and he stands by the company "because Toyota has built the most solid, reliable vehicles I have ever owned." Standing up for the brand in the face of bad news is exactly what loyal customers do in these types of situations, says evolutionary psychologist Vladas Griskevicius of the University of Minnesota. "The initial reaction is not to switch but to like your product even more," he said. "When you have a favorable idea of a product and you hear negative things, you get defensive and counterargue it." Toyota loyalists aren't likely to switch brands because of this cognitive dissonance, he said. They could resort to blaming other drivers first, Griskevicius said: "It's not my Toyota. It's the drivers." What would it take these loyal customers to trade in their keys for another ride? "Toyota has a problem right now, and safety is a big concern," Griskevicius said. "If they lose the safety debate, people are going to switch from Toyota to Honda. So unless they restore the faith that people are safe, they are going to lose that big time." If the potential solution announced by Toyota on Monday is a real fix, the company won't lose its loyal base, Griskevicius said. But if the fix isn't viable, Toyota may start bleeding customers. Finding the tipping point of switching customers is easier when looking at how other companies handled similar recalls. The Ford and Firestone tire controversy of 2000 turned into a finger-pointing match. Both companies blamed each other for the estimated 250 deaths that happened when treads separated and tires disintegrated at high speeds, causing car rollovers. Ford put the blame on the tire company, and it suffered immensely, Griskevicius says. Customers were turned off and started to switch to other cars. Perhaps the most infamous automotive fiasco was the case of the Ford Pinto in the late 1970s. If the Pinto got rear-ended, the gas tank would rupture and catch fire. These exploding cars "spelled disaster for Ford," Griskevicius said. Tylenol, on the other hand, handled its 1982 poisoning controversy with grace. Seven people died after taking Tylenol capsules that had been laced with poison. The company found out that some hooligans had tampered with the packaging. "Instead of blaming [the hooligans], they pulled every single Tylenol bottle off the shelf," Griskevicius said. "Within a year, they were the No. 1 over-the-counter pain reliever on the market. Tylenol cared about its people and safety." If Toyota handles the safety issues and comes up with a solid fix soon, the outlook for the company is good, he said. 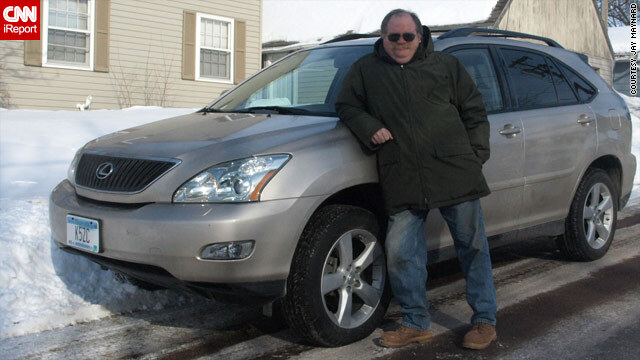 For now, Toyota enthusiast Maynard isn't ready to ditch his Lexus for another ride. He says a lot more would have to happen for him to do that. "When it comes time to replace that Lexus, the very first stop I'm going to make is at the Lexus dealer," Maynard said. "It's going to take something pretty dramatic to make me not get another."